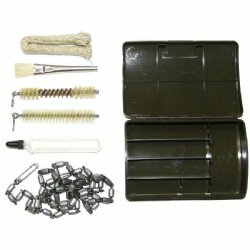 German HK cleaning kit new. Includes case, two bore brushes, cleaning brush, oilier, mops and pull chain. 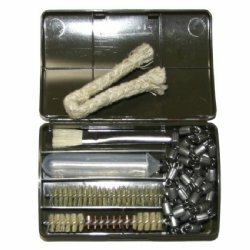 This was the German army multi weapon cleaning kit for all 7.62mm to 9mm weapons. 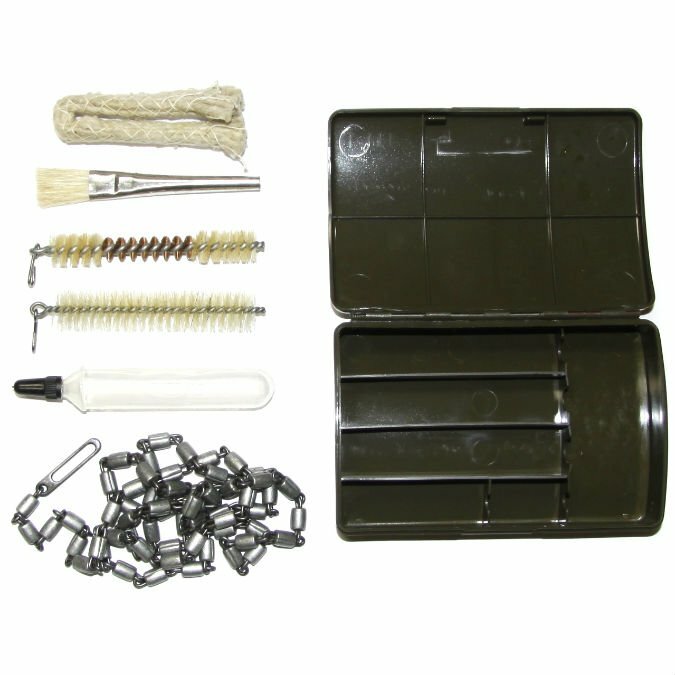 This is the correct cleaning kit for the G1, G3, MG1, MG3, UZI, MP5, P38, P1, P8-USP. Condition is new old stock. These were bulk packed so outer boxes will show signs of storage and transport; otherwise these are new. 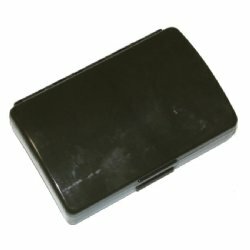 Product Review: May be unissued new old stock, but mine is like very good used condition. All parts are present and in more than serviceable condition.